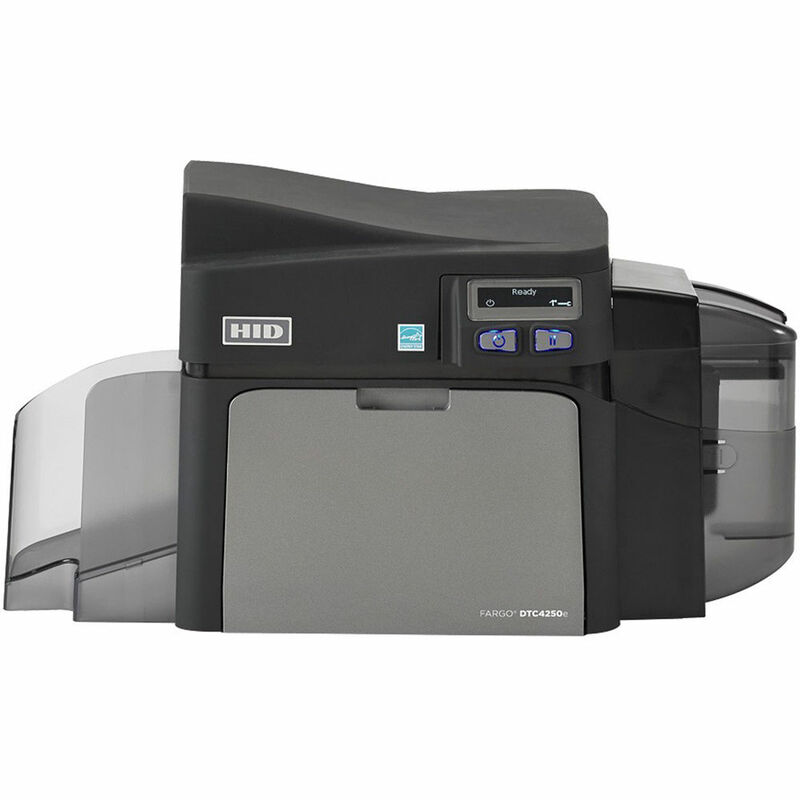 The DTC4250e Single-Sided ID Card Printer with Ethernet, Internal Print Server, & USB from Fargo is a convenient, professional, and secure printer/encoder system, suitable for medium-sized businesses, schools, and local government institutions. This printer comes with an internal print server for secure printing. It utilizes a dye sublimation resin thermal transfer processes to quickly create 300 dpi resolution prints. It works well with CR-80 and CR-79 adhesive back card sizes and can print edge-to-edge. The printer is capable of printing at a rate of 6 seconds per card in black & white and at 24 seconds per card in full color with two black resin panels. The same-side, input/output card hopper and movable SmartScreen graphical display allows the printer to fit into tight spaces. Box Dimensions (LxWxH) 17.0 x 14.0 x 12.0"